Try this easy and delicious Turkey Burgers Recipe. Place mince, breadcrumbs, curry paste, spring onions and egg into a large bowl. Season lightly, then mix well with your hands to combine. Divide into 4 and shape into burgers. Chill in the fridge for 20 mins. Brush the burgers with oil and grill on a medium heat for 7 mins each side, or until firm, golden and cooked through. Alternatively, cook on the barbecue until cooked through. Once cooked, toast the rolls, cut-side up, under the grill. 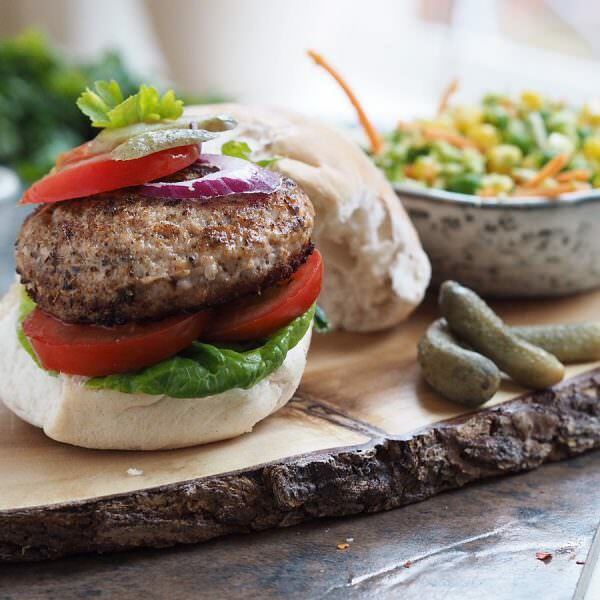 To serve, top the rolls with a turkey burger, add lettuce, cucumber, tomato slices and a spoonful sweet corn, salsa and put the tops on.